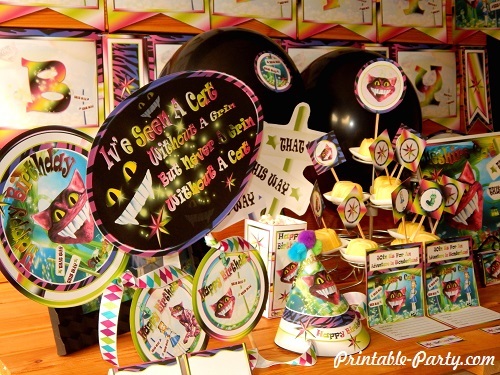 Printable Cheshire Cat Party Supplies for a super unique birthday celebration. 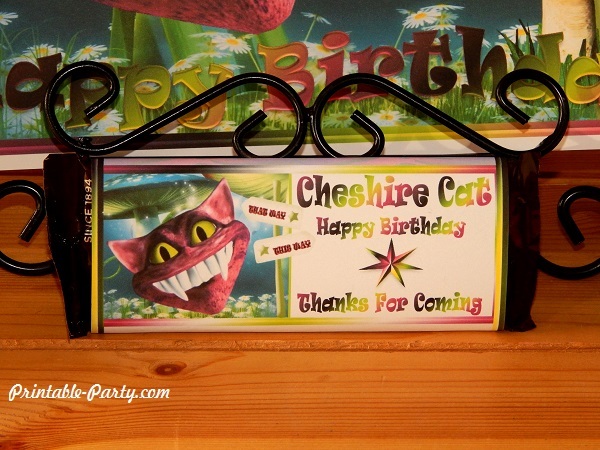 The Cheshire cat is a fun game playing cat that can disappear & reappear at his discretion. The cat can even make his whole body invisible while leaving behind only his slowly fading grin. He is accompanied by Alice & the caterpillar while hanging out in a glowing mushroom wonderland. 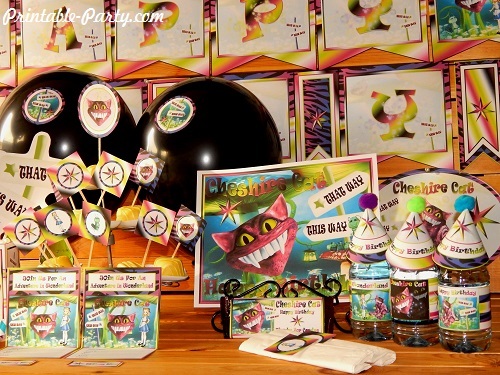 This exclusive hand designed party theme has bright colors of lime green, a mix up of bright purples, shades of blue, & black. All orders are available for you to download right after purchasing. 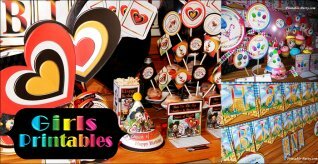 Orders are also set to your valid email address along with information. See How It Works. Our downloaded printable files open up for viewing, printing, or signing, by using the Free Adobe PDF Reader Program when opening your downloaded digital product. 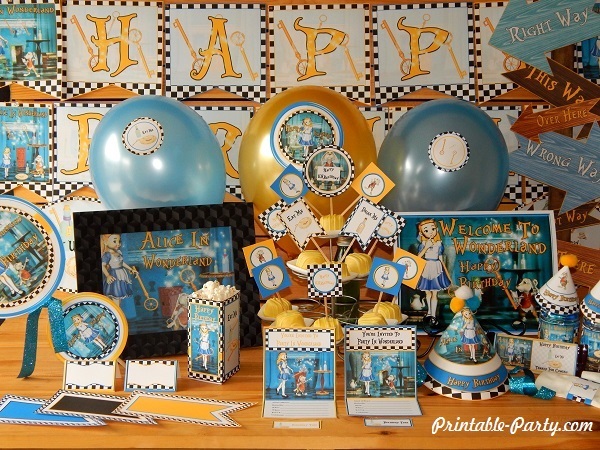 We design printables to be printed using 8.5x11 inch paper. Using the thickest quality paper usually look awesome & gives a sturdy hold. We like to print on 110 lb card stock paper when printing for set ups & orders. 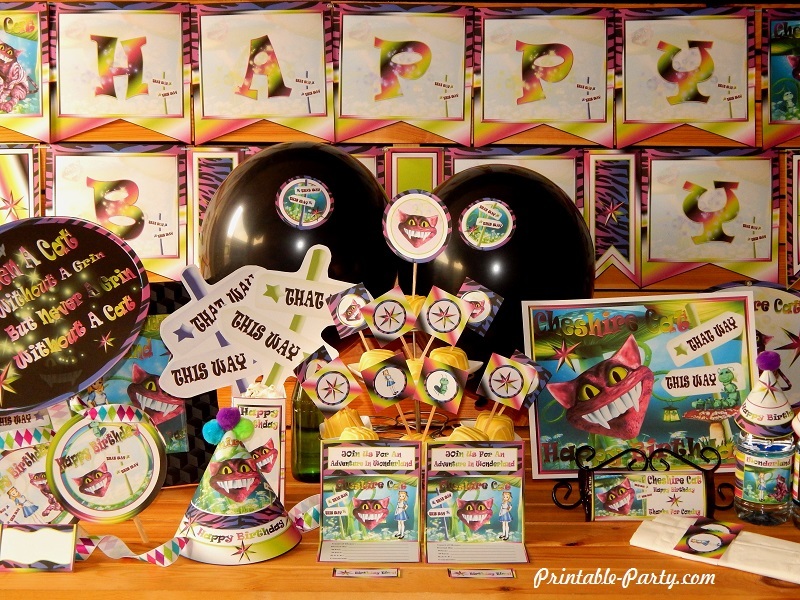 Party printables can be printed at home or on an office printer. Files can be saved onto your computer or onto a flash drive, you can then take your files to an office store to be printed for you. Staples & Office Depot seem to be popular stores. 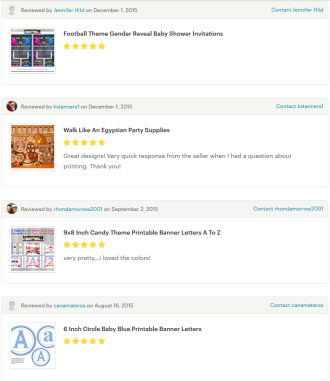 Simply let them know which pages are needed & how many, along with your choice of paper. 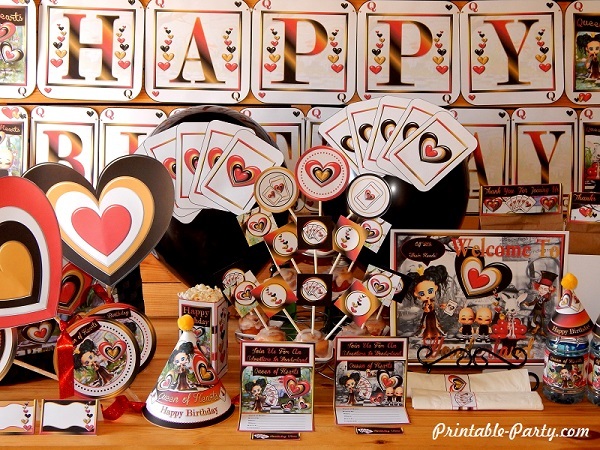 For more information about our printables see our List of FAQ or Contact Us with any questions you'd like to ask. 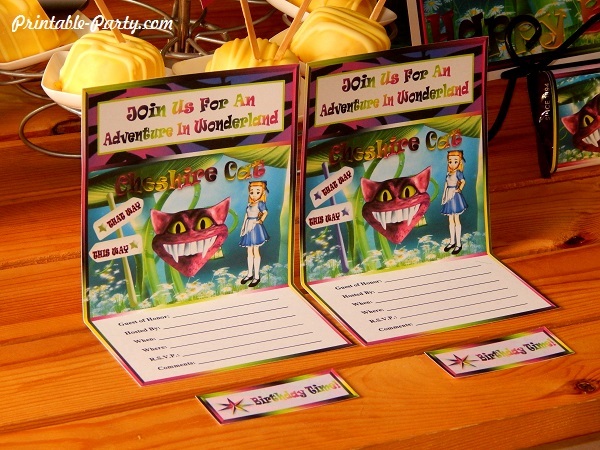 (Unfolded size is 4.5x7) These printable invitations can be left flat or tri-folded. Fits in A2 envelopes when folded & 5x7 when left flat. 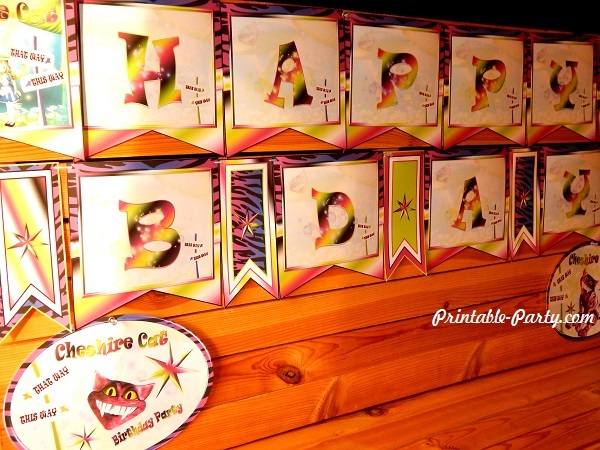 8 inch banner letters that spell out Happy & Birthday. 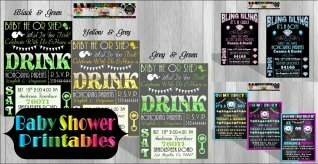 5 Banner decor flag designs. 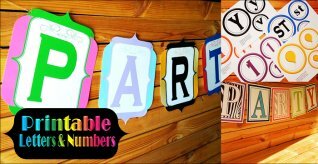 Plus bonus 10x8 inch signs in 3 designs. 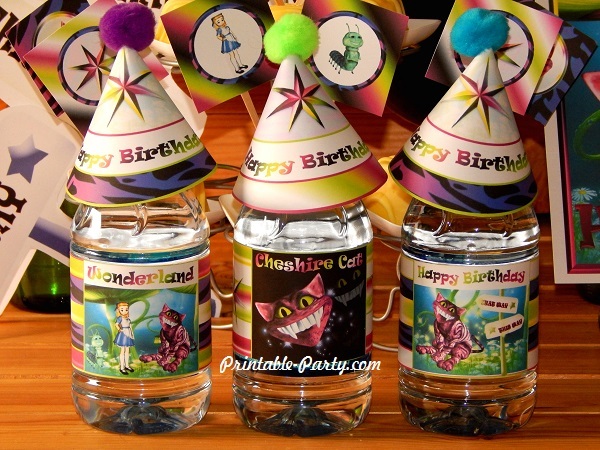 Printable drink bottle wrappers that come in 3 designs. Easy to wrap around personal sized bottled drinks, water bottles, & juice boxes. 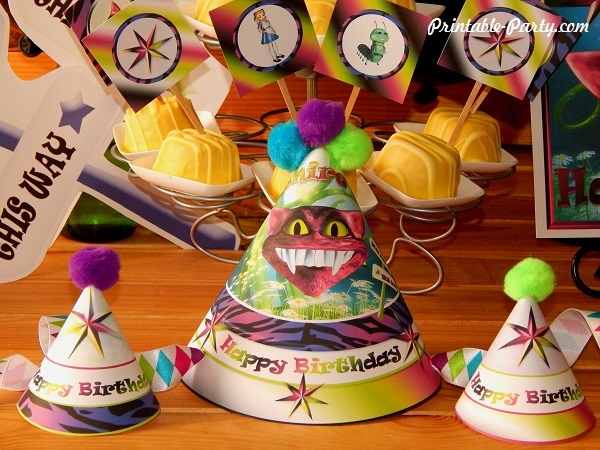 1 Printable standard cone party hat design. Also includes mini hats. 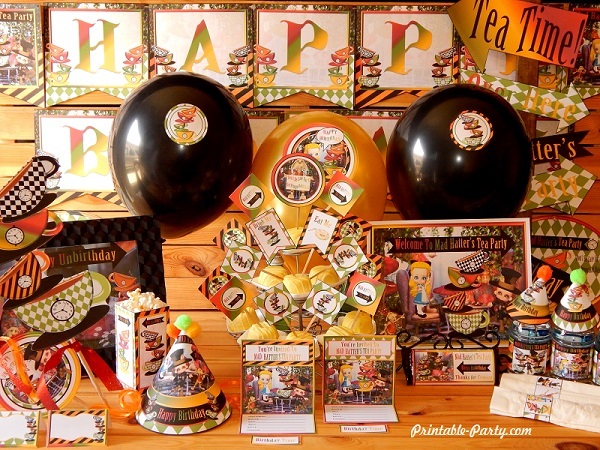 Mini hats are great for decoration & for using as bottle toppers. 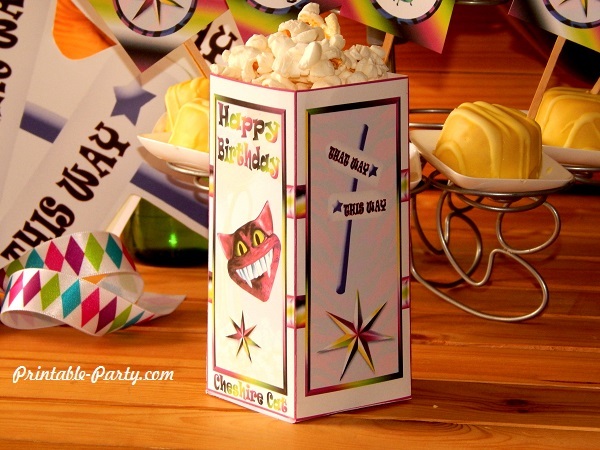 3x6 Inch snack & party favor box. 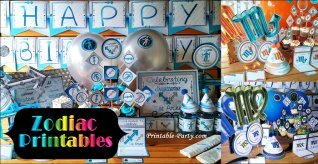 Can be filled with dry party snacks & small thank you gifts. Can also be placed into a cello bag . 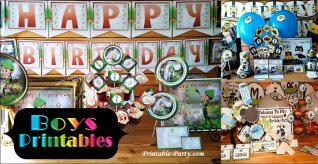 Give This Printable Party Supplies Page A Like?